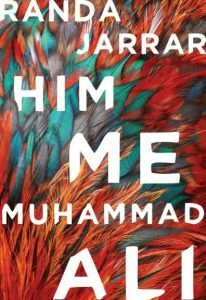 The collection of short stories in Him, Me, and Muhammed Ali, by Randa Jarrar weaves us through experiences of love, loss, sexuality, perseverance, identity, displacement, family, and the patriarchy through vibrant characters most of whom are women. The stories are set across a range of time periods and locations always connected in someway to an Arab, Muslim, identity. The stories speak to the complexities of identity and displacement through characters who are actively balancing their present home and a history of home. Several major themes recur in varying degrees of directness throughout the stories including: The underrepresentation of Arab, female, writers, the collision of Arab-American identity, Palestinian displacement, sexual identity, and criticisms of marriage to name a few. Though some stories do contain men as main characters, it is clear that there is an emphasis on the experiences of women as story tellers. Jarrar shows us women with multifaceted identities, as writers, as mothers, as victims, as anarchists, as sexual beings, as independent, as lonely, and as women capable of the unexpected. The tales bounce between gritty realism and the imagination, with a dusting of sharp humor that is funny because it feels so alarmingly honest. The writing seems to fearlessly reveal the thoughts, habits and feelings especially of women and presents them as unapologetic facts, which is the source of much of the book’s wit. Each story is carefully stitched together by common symbols that cause you to wonder about the connections between them all, though the stories themselves never directly connect. She develops a visual language in her writing using birds as symbols of transience, images of death as strings tied around the necks of dolls and birds, the color red, dark mustaches, things in sets of three, vibrators, and demitasses. The symbols reappear almost like easter eggs, begging you to retrace your steps and make sense of their meaning from story to story. The book’s title, taken from a short story by the same name, causes one to question if the author is hinting at the collections of stories in each of the book’s three units. 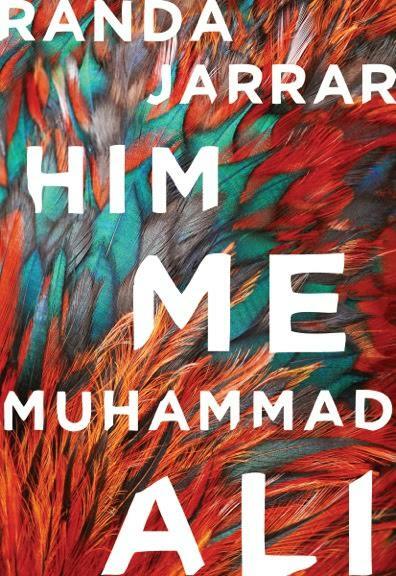 The story for which the book was named, describes a strong-willed young woman wrestling with the loss of her parents and searching for a photograph of her father, herself, and Muhammed Ali who turns out to be her mother, nicknamed for her temperment. The three units of stories could be understood in line with the title, as the first unit shares stories of what could be “Him” almost marriages, failed husbands, and the weight of heavy handed masculinity. The second perhaps the author’s exploration of “Me” features stories with strong themes of displacement, family, and faith. The third unit, is arguably the fighter, “Muhammed Ali” in it’s ownership of a complex identity and the intensity of struggling with that identity. The stories are a pithy, delightful, and moving collection of writing that is effective in surprising the reader with bursts of satire, amidst the heaviness of real-world struggles. It leaves you thinking and smirking for hours after you’ve read it. The Author’s boldness is magnetic, pulling you into conversation with things that others might be afraid to venture into. She reveals pieces of her own identity as an Arab-American woman through her colorful characters, and she does it with such a humanity, beauty, and wryness that it is an essential window into these experiences for readers of every identity.